This debate is based on a controversial article by Shanmugam and Moiola on reinterpretation of depositional processes in a classic flysch sequence (1995, AAPG Bulletin, v. 79, p. 672-695), which prompted 5 groups of researchers to write discussions. 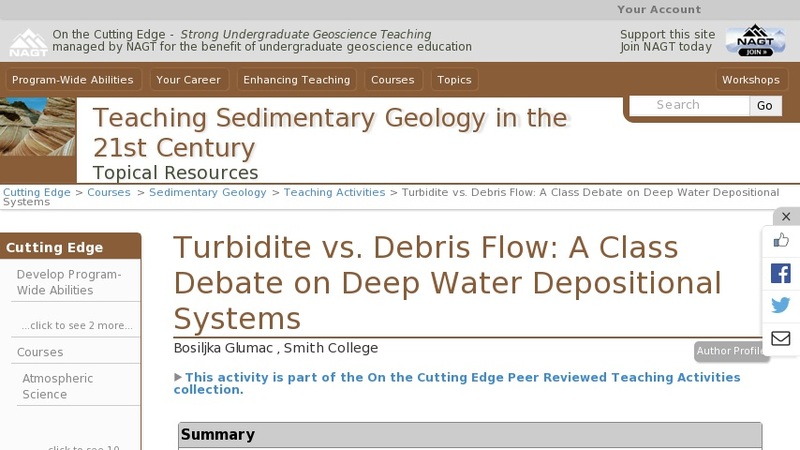 In preparation for the debate students examine this primary literature and other background information about deep-water sedimentary processes and products. The debate has a formal format with introductory remarks, rebuttals, and final statements by members of the Turbidite and Debris Flow teams.